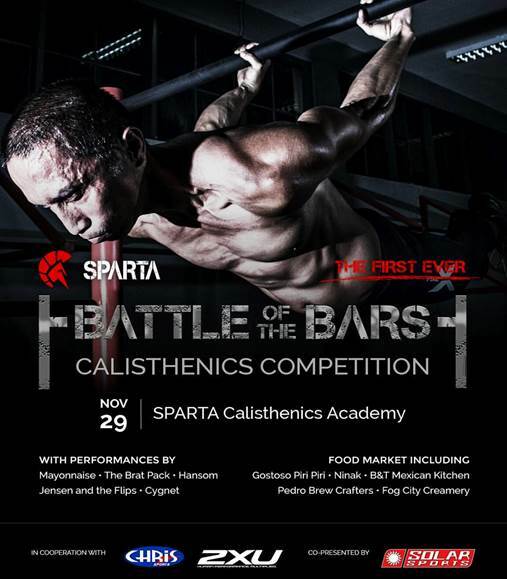 Sparta Presents The First Ever Battle of the Bars Calisthenics Competition. Sports and Recreational Training Arena, recently opened the first and only calisthenics academy in the country. It is proud to present the first ever Sparta Battle of the Bars Calisthenics Competition.